Music therapists trained in the UK have been integral in the development of regional and international organisations which promote the highest standards of music therapy practice, training and research. This page will introduce you to some of the international contacts and resources available and help you to keep in touch with the wealth of varied applications and global perspectives of your profession. You can find links to events, online resources, networking opportunities and job vacancies here. 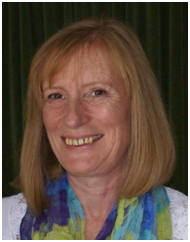 BAMT’s International Officer and EMTC country representative is Tessa Watson. Angela Harrison, UK Music Therapist in the Chair of the Public Relations Commission. The Federation develops and promotes music therapy globally through the exchange of information, and collaboration among professionals. The World Federation of Music Therapy Regional Liaison for Europe Marinella Maggiori. You can contact Marinella on (europe@wfmt.info). Tessa Watson shared this statement from BAMT with European colleagues regarding the EU referendum in Vienna at the EMTC Conference. Statement from BAMT on the result of the referendum on the UK's future relationship with the European Union in an arts therapies context. Greeting to you all as you gather in Vienna. With great uncertainty shrouding the United Kingdom at present, this statement aims to be clarifying and indicative of the British Association for Music Therapy's commitment to European music therapy. As music therapists, the values and professionalism of our discipline, and our commitment to developing music therapy in all its diversity shared across Europe and beyond, will remain, both within and around national and political boundaries. BAMT remains fully committed to working together with all European colleagues, to share and develop the art and science of our practice. Our links with other professional bodies, and our members' individual links with clinical, academic and allied colleagues across the continent, are hugely beneficial. While the future is uncertain, we can be certain that our interest in maintaining community with continue, and we can rely on the unity of our profession and discipline in this regard. BAMT has members both inside and outside the EU, and has a long tradition in collaborating across Europe. We are therefore confident that the effects of the UK decision will have in the short, medium and long term, can be take on, and BAMT is committed to ensuring that music therapy practised in the UK can remain relevant to the whole of Europe in the future. At present we are not scheduled to run any events in near future.